Mornings can be rough, but one way to make them a little smoother is by starting your day with some peanut butter. The sticky spread is usually called on for lunch, paired with jelly in a sandwich, or for dessert alongside chocolate, but breakfast is where we really need this nut butter. It’s protein-packed and just the fuel we need to tackle the day ahead. 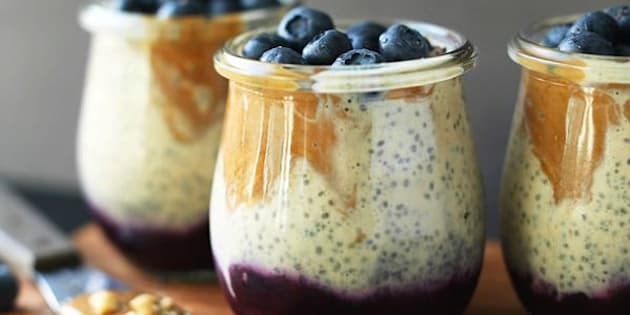 We found 15 ways to sneak peanut butter into your morning meal. Some of them healthy (like smoothies and acai bowls) and some of them a little more indulgent (think French toast or jelly donuts) but all of them a great way to start the day.